Here are the games we are playing this week whilst learning about electricity. Can you think of some things we have that run on electricity that they did not have in 1666 when the fire of London happened? It looks like you had a great time with your poems Year 2! I am free on Thursday morning next week - would you like me to come in and add some guitar to your performances? If we can beat our attendance target by July, our treat we have chosen as a class is a Pyjama Party!! Room P Blog - Turaki Primary in Taumarunui, New Zealand. 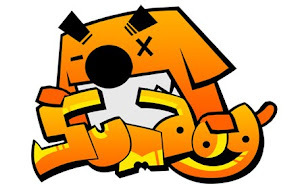 The Sumdog Maths national challenge is now open!!!! Click above to compete against children in schools all across the UK! Have fun! It finishes on Thursday 28th March. Fantastic Fire of London Art! The Great Fire of London!!! Poetry!!!!! And the Boneyard Rap! Happy Half Term - Our New Topic! Our Wonderful Fire of London Learning Logs!!! 3D shapes and thier properties! Big Write Star of The Week!! Another Super Big Write Session! Big Write Star of The Week! Creative writing in literacy this week!! !